In computer support, a variety of codes can be used when referring to a customer. One of these codes has become fairly well known on the internet: PEBKAC (Problem Exists Between Keyboard And Chair) but there are a variety of others that are lesser known. One of these is used when reporting a fault which has been fixed: “The fault was a PICNIC” (problem in chair – not in computer), or “ID 10 T Error” – ID 10 T is, of course, IDIOT. Let us hope that you never see this noted down on your file when a serviceman is fixing your computer. Time Check (usually taking a similar form to: “Time check: the time is 12:00″) can be a code in stores for a bomb alert. It alerts the staff to follow the bomb procedure, which can be to either try to locate any suspicious packages, or to prepare to get the hell out. If you hear a time check in a store, it is probably a good idea to start moving toward the exit. Surprisingly – and shockingly, the majority of stores that use this code actually expect their staff to search for the bomb – certainly an aspect of the job that the majority of teenaged checkout operators weren’t expecting when they signed up I am sure. A code 10 in hospitals can refer to a mass casualty or serious threat (such as a bomb alert), but the majority of people experiencing a code 10 will do so for another far more common reason: a “code 10 authorization” is made by a merchant when he needs to call a credit card company to enquire about your card. This means that he is suspicious of you or your card and doesn’t want you to know it while he gets it checked out. When the credit card company hears that they have a code 10, they will ask a series of yes/no questions to the merchant in order to find out what the situation is. This will often result in the merchant keeping your card if they believe it is safe to do so. This type of call often results in a call to law enforcement. “Doctor Brown” is a code word often used in hospitals to alert security staff to a threat to personnel. If a nurse or doctor is in danger from a violent patient or non-staff member, they can page Doctor Brown to their location and the security staff will rush to their aid. In some hospitals, code silver is used to refer to a person with a weapon, and code gray can mean a violent person without a weapon. Hospitals have a huge array of various codes to describe all manner of situations. They often differ from hospital to hospital and they are usually not internationally recognized. On a ship, a code oscar means someone has gone overboard. If the ship has to maneuver erratically to handle the situation, it must also send out blasts on the signal so that other ships nearby are aware of the fact that it is about to change its course. It should be noted that ships don’t have an internationally standardized set of PA signals and they can differ from place to place, but this is a fairly commonly used one. Oh – and a code delta can mean that there is a biological hazard – though who knows what that might be on a passenger ship. 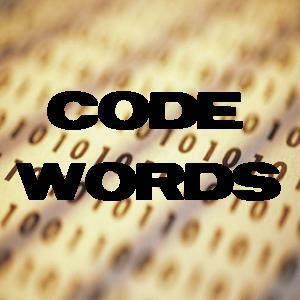 And finally, Code Alpha often means “medical emergency”. Code Bravo is the code phrase for a general security alert at airports. Unlike most of the codes on this list, the code is meant to cause alarm – but not through knowing what it means: when this alert is raised, all of the security agents will begin to yell “Code Bravo” in order to frighten the passengers – this is supposed to make it easier for the agents to locate the source of the problem without interference from the general public. For those of you who travel on ships from time to time, you may like to know that Code Bravo means “fire” and it is the most serious alert on a ship – if it burns, you either get off or burn with it. Ships also often use sound signals, such as 7 short and 1 long, meaning “man the lifeboats”. Inspector Sands (or sometimes Mr Sands), is a code for fire in the United Kingdom. Obviously it would not be appropriate for the service staff of a store to announce a fire publicly, so this code is used to alert the appropriate staff to the danger without upsetting customers. The wording differs from place to place and in the Underground network a recorded “Inspector Sands” warning is automatically triggered by smoke detectors. In some shops you will hear the code used in a phrase such as “Will inspector Sands please report to the men’s changing room” if the fire is in the men’s changing room. It was played on a continuous loop through the underground during the July 7, 2005 bombings, and has been incorrectly described as a code word for a bomb – the frequently used code for a bomb in the Underground is “Mr Gravel” – for example, “Mr Gravel is in the foyer”. Mr Sands (or sometimes Mr Johnson) is also used in theaters in the case of fire. Code Adam was invented by Walmart but it is now an internationally recognized alert. It means “missing child”. The code was first coined in 1994 in memory of Adam Walsh, a six-year old, who went missing in a Sears department store in Florida in 1981. Adam was later found murdered. The person making the announcement will state “we have a code Adam,” followed by a description of the missing child. As soon as the alert is heard, security staff will begin to monitor the doors and other exits. If the child is not found within 10 minutes, the police are alerted and a store search begins. Also, if the child is found in the first 10 minutes in the company of an unknown adult, the police must be called and the person detained if it is safe to do so. In 2003, the US Congress passed legislation making a “Code Adam” program compulsory in all federal office buildings. A similar alert is called an AMBER alert, a backronym for “America’s Missing: Broadcasting Emergency Response” but initially named for Amber Hagerman, a 9 year old girl who was abducted and murdered.